Today’s scientific computing demands lightning-fast speed, vast data storage, and intensive processing power in order to advance discoveries across disciplines, from genomics to climate change. Two new agreements and a range of initiatives in Europe and the United States expand Google’s support for academic researchers globally, enabling them to leverage the benefits of Google Cloud Platform (GCP), our infrastructure as a service platform. With 50 million users at ten thousand institutions across Europe, GÉANT is the leading research and education infrastructure platform in Europe. 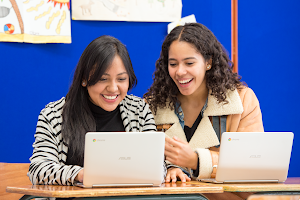 Google’s new agreement with GÉANT will allow for broader collaboration across that extensive network, offering GÉANT members special educational discounts to access GCP. Together, the scientists, educators, IT leaders, and the 38 National Research and Education Networks (NRENs) in GÉANT can now make direct Google connections at reduced cost to put their data to work to discover meaningful insights with the potential for global impact. Andres Steijaert, Project Leader Cloud Services at GÉANT, says that “we are delighted that Google Cloud Platform is joining the GÉANT Cloud Portfolio and can now be used easily via a ready-to-use agreement, through GÉANT. 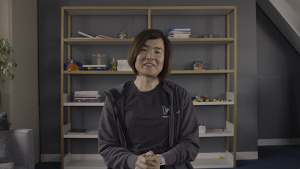 The machine learning and AI features open up a wide range of exciting opportunities for education and research.” Other benefits include data egress waivers, unique pricing for GÉANT member campuses, single sign-on support through SAML2, and a negotiated terms of service. GCP will be available to GÉANT member institutions through Cloud Technology Solutions (CTS), one of the world’s largest cloud infrastructure experts. To get started, email H.Ed@cloudsolutions.co.uk. Supporting innovative programs in government agencies like the Division of Research, Innovation, and Ventures (DRIVe), established by the Biomedical Advanced Research and Development Authority (BARDA) to foster entrepreneurial solutions to urgent public health challenges. Using GCP, a research team at Emory University’s School of Medicine built deep learning software to predict the onset of sepsis in hospitalized patients. Now DRIVe can help develop and implement that platform to reduce the approximately 270,000 deaths from sepsis in the United States each year. Improving infrastructure through programs like Cloud Exchange and Cloud Connect that allow researchers to access GCP’s Dedicated Interconnect network for high-capacity and secure data paths. Updating existing funding programs to include cloud resourcing like the NSF’s Campus Cyberstructure (CC*) program which improves the networks and platforms that academics rely on for their data-intensive projects. Expanding GCP research credits program, previously available to academic researchers in 30 countries, to include Norway and India as well. All academics from qualified regions are encouraged to apply. Learn more on our website. Find out how Google Cloud can support your research on our website or apply now for research credits to turn your bold ideas into new discoveries.